Bonnyrigg Rose have edged closer to the Super League title following a 3-3 draw at Bo’ness United. However, having led 3-0 at Newtown Park through goals by Kieran McGachie, Ewan Moyes and Ross Gray, the visitors will be disappointed with the two points dropped. The BUs fought back through Calum Scott, Will Snowdon and Marc Kelly. Bonnyrigg sit eight points clear of second-placed Linlithgow with four games remaining. The Prestonfield men have five games left. Musselburgh Athletic, who will switch to the East of Scotland League next season, have one hand on the Premier Division trophy after nearest rivals Fauldhouse United drew 3-3 at home to Haddington. Musselburgh, who host Dalkeith on Saturday, require just one point from their remaining four games. 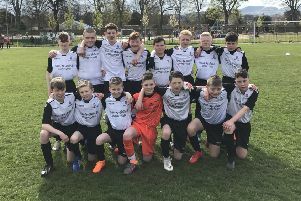 Linlithgow, meanwhile, were bundled out of the DJ Laing East of Scotland Cup at the quarter-final stage, losing 4-3 on penalties at home to Tranent following a 2-2 draw.